FOOD & DRINKS | My mouth is watering just looking at the menu for the Winter Jubilee Beer Dinner, a collaboration of Perry Street Brewing and Casper Fry. It's a five-course meal with beer pairings for each one, and a suckling pig is the star of the plate. Hit 'em up for a reservation. THEATER/BENEFIT | The Spokane Civic Theatre is hosting a special presentation of White Christmas, the favorite based full of Irving Berlin tunes, which is raising money for Hearth Homes, an organization dedicated to helping homeless mothers and their children. ETC | Nothing screams "holidays" in quite the same way as a great drag show, and you can check one out at the Queens of the Palomino holiday drag ball on Wednesday. LIVE BANDS | Lil Dicky might be a joker, but don't sleep on his tongue-twisting rhyming skills, all the more impressive consider his tongue is firmly in cheek most of the time. Read our story on the rapper here. SPORTS & OUTDOORS | All winter sport advocates are ecstatic that we actually have enough snow for the local resorts to be open in December. Mt. 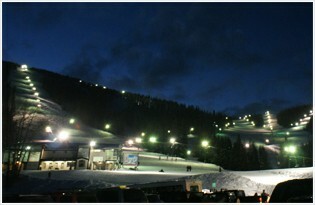 Spokane is having a Night Skiing Kickoff Party to celebrate the first night when you can ski under the lights. COMMUNITY | The Coeur d'Alene Casino is hosting a replica of a Native American tribe's winter encampment, done up for the season and well worth a trip to check out the more than 15 teepees and 50 animals that are part of the light show. FOOD & DRINKS | River City Brewing is hosting its first International Marmot Beer Festival, where they'll serve 10 variations of their popular Midnight Marmot Imperial Stout. Look for more details in the new issue of the Inlander hitting the streets Thursday.